They carved their niche as a print broker offering clients “one stop packaging shopping” – printed labels, forms, boxes and shrink sleeves. Additionally, they provide marketing agency-type services such as graphic design, packaging consulting and support services such as trade show and product rollout programs to support branding strategies. 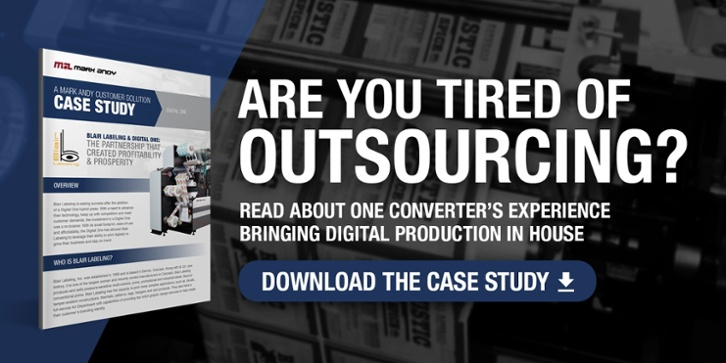 Due to increasing demands, printed labels became a larger part of the PRX Print product mix and the company was experiencing aggressive growth in demand for cost-effective, short-run digital labels with fast turnaround times. Trends toward “just in time” ordering, small-quantity, multiple-version printing, coupled with often-changing label regulations and the need to contain costs, were key factors in driving this growth. 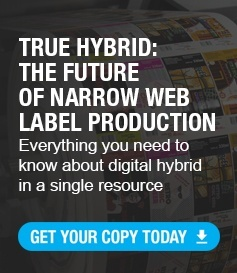 Gilbert researched a variety of digital label printing technologies and product offerings, and her search led her to the recently launched Mark Andy Digital One hybrid label press. 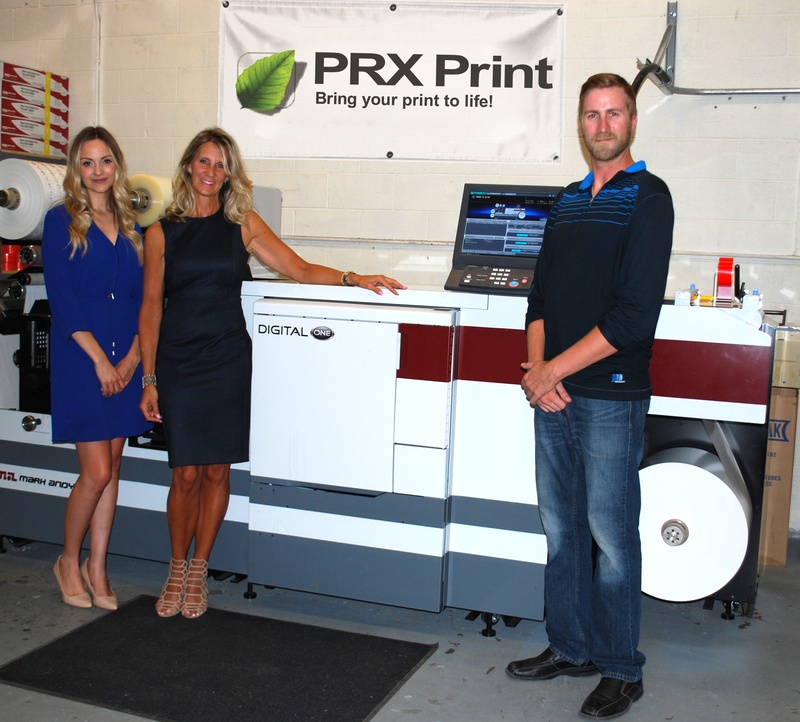 Within a short time, it was clear that this press would be the key to fulfilling her need for an entry-level digital machine to produce high-quality, affordable prime labels for PRX Print’s growing client base. Key features that drew Gilbert to the Digital One were the “pay as you go” no-click-charge structure, its small, eco-friendly footprint with minimal waste, the toner-based technology and its all-in-one (printing and diecutting) functionality. In contrast to inkjet digital presses, the Digital One’s dry toner technology fuses ink right into the label substrate, ensuring maximum print adhesion and durability. Gilbert knew this was key for food and beverage labels, a market PRX Print specializes in. With the just-in-time expectations common in today’s retail landscape, a press with the capability of meeting same-day demands is exactly what PRX Print needed, and their new Digital One label press has proved worthy in meeting and exceeding those expectations. Since the blueberry success story, PRX Print has been able to support many clients with same-day printed samples for new product launches, small batch labels for color testing and provide same- or next-day custom label design and printing on an ongoing basis with the entry-level digital hybrid machine. Hard work, consistency and determination, coupled with what Gilbert calls “a phenomenal team of employees” with a high level of knowledge, friendliness and competence, are what have grown PRX Print’s business. The company was already experiencing aggressive growth in sales and profits prior to acquiring their Digital One, growing by over 45% in 2016 and over 25% in 2017. But in 2018, Gilbert projects their business growth at more than 50% over 2017, primarily due to their new in-house printing capabilities and customer responsiveness. Gilbert already has her eye on additional opportunities to expand the label manufacturing side of her company. PRX Print plans to tap into the Digital One’s label embellishment features such as decorative cold foils and spot varnishes, and she sees advanced, inline decoration as an avenue for revenue growth, with the potential addition of a new production-level digital asset in 2019. A customer-centric agency, open to new technology and expanding their portfolio of in-house offerings, PRX Print has a bright future in their role as a label manufacturer. With the Mark Andy Digital One, the ability to say “yes” to same-day requests is growing their business at a record pace.